I am a mental health therapist with an addictions specialty working in Wisconsin. I have worked in various settings as a therapist for the last 10 years. These settings include residential, retreats, crisis in the community, and private practice. I have assisted clients with a wide range of issues, including (but not limited to) depression, anxiety, addictions, ADHD, low self-esteem, anger management, self-harming, relational conflict, trauma, and grief. Topics close to my heart include infant loss and miscarriage, coping with life role changes, and mindfulness. My counseling style is warm and approachable. I use a client-centered approach which allows my clients to be a very active participant in their journey. I believe it is my role to offer a judgement-free place and assist clients in a way they need, whether it be just to listen, be a resource, a sounding board, and/or offer guidance. My theoretical background includes cognitive behavioral therapy (CBT), Dialectical behavioral therapy (DBT), trauma-informed care, and humanistic. With these theories, I am able to adapt to what the client needs/wants out of their therapy. Seeking help on a journey to change takes strength, courage, and a bit of grace. If you are ready for those challenges, it will be an honor to assist you on your journey. I only have been with Carissa for 3 months, because I can't afford more but I see a big difference in the way I talk and write. I'm much more positive and I have much more hope of a better life. Thanks very much Carissa! I really prefer this way then having to go to an office, and Carissa responds quickly and professionally. Compassionate, caring, and understanding. She finds ways to give different points of views which always helps. Great person to talk with. Its nice to finally talk with some one where I dont need to walk on egg shells or get judge, told differently, of who or what I am going through. To be able to have the positive and sometimes just to talking to Carissa is like the pressures lets off some steam. I can say that even tho there are some things we havent disscused yet. I am more then content with Carissa performence an enjoy talking with her. Give her a raise! She has earned it. Would you like to write a review for Carissa Weber? 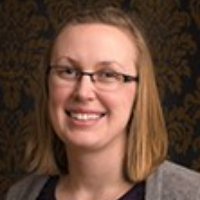 We'd appreciate if you can spend a couple of minutes to write a short review for Carissa Weber (MA, LPC, CSAC). This review would be shared with Carissa Weber. It may also be posted in our website or in Carissa Weber's profile but it would be anonymous and your identity would be kept completely confidential.